Divorce is an extremely high cost business. So you want to be sure you are well informed before making any decisions, especially of you live in California, in some nice place like Los Gatos. When seeing your spouse in court or at future events that include your kids, you will most likely feel uncomfortable and stressed out. It’s hard to know what to say or how to approach your former spouse. With time, it will get easier and after awhile it may not be an issue at all. When the divorce is fresh, try walking up to your former spouse right away and saying hello. You don’t need to have a long conversation, just share an item or two of information about the kids. If you’re really feeling generous, ask how he or she is doing, but then be on your way.Don’t pick fights and don’t allow room for a conversation to escalate to an argument. The goal is to cut the tension and re-learn how to be around one another as formerly married people. It’s important to remember that no matter how isolated you may feel, you are not alone. Recognize that there are sources of divorce support that you can leverage to help you sort through the menagerie of feelings you’re experiencing and learn how to deal with them in a healthy and constructive way. During the divorce process, spouses will often lob threats and hurtful remarks at each other as things become heated. If you are prepared for these threats, you may be able to deal with them better. 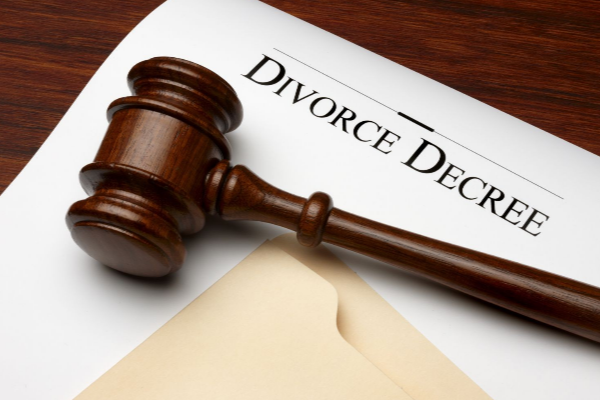 Despite how happily divorced you may be, hearing that your spouse is remarrying is tough. This opens old wounds and will make you re-evaluate your life. Look at it as a chance to grow, but give yourself room to be sad. Whatever you do, don’t spend the wedding day alone. Find friends to distract you.